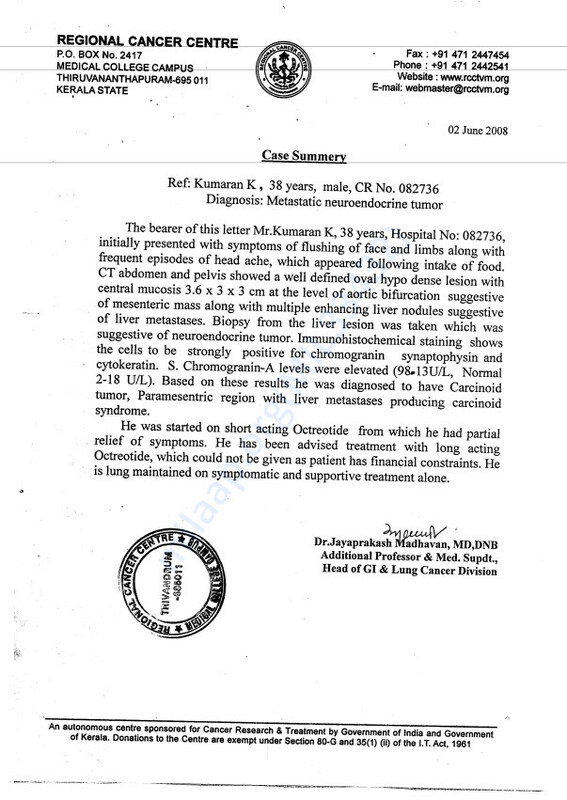 My friend Kumaran K who is suffering from Liver cancer, is undergoing treatment from RCC /Trivinduram , Kerala . He is not currently employed due to his condition which has made him difficult to arrange the funds for his treatment. He has a wife, a mother, two children, He has been fighting Liver cancer and taking injection ( Octride 10 mg or 20 MG Ampoules) every month , he is not financially sound to buy the costly injection . Seeking your kind-hearted support to get the medicine and I repeat he do not need any money only need the medicine to support his life and he is survived by two children both are students Girl +2 and Son 10th Std and wife and Mother. He it the sole bread earner to support his family and his wife also doing some odd jobs in a nearby spinning mill to run the family and mother is around 80 years old and he is ought to get some help from the good-hearted people like you who can really help such deadly disease person to extend his life to some more years or days and request you to kindly consider this request and grant some funds to buy the injection. His treatment will cost approximately Rs. 30 to 60 thousand ( per month only for injection) Long term fund is required to buy medicine. He is unable to pay for the treatment due to high medicine cost . 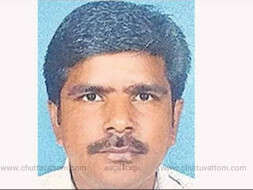 He is really from the poor family and no income at all , got few funds from Government of Kerala for the treatment but it is not enough as he has to take every month injection ( Octride 10 mg or 20 MG Ampoules) it costs itself from 30 to 60K depend on the manufacture of the medicine as he cannot afford to buy the medicine at all .. so need some fund then he can make a fixed deposit and earn the interest and buy the medicine .